I love family portraits at home. 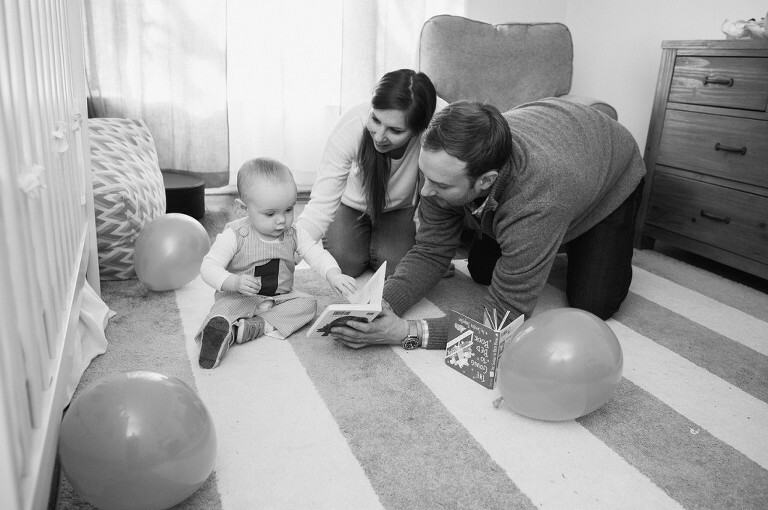 It’s such a relaxed setting, especially with little ones, and really lets me be able to capture lifestyle moments. While I always adore a photo of my daughter smiling at the camera, it’s the ones of her doing something silly or just hanging around the house that invoke memories and I tend to treasure these most. Kristen and Adam invited me over to photograph their little boy on his first birthday. It was a late fall morning, and we started by walking around the neighborhood. Luke really liked watching everything going in nature from leaves falling to airplanes passing in the distance. He especially seemed to like leading his parents on walks, and didn’t mind the occasional tumble he took from walking on his own. It was quite sweet. Afterwards, we went inside and captured some moments of him in his room and home. These are actually my favorites. He wanted to run and play but his eyes lit up when his favorite book came out. 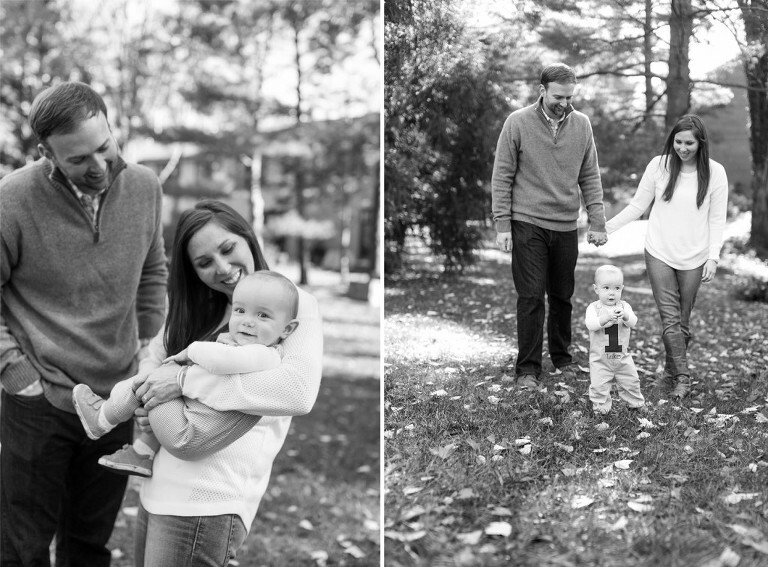 Kristen & Adam – Thanks for choosing me to photograph your family!